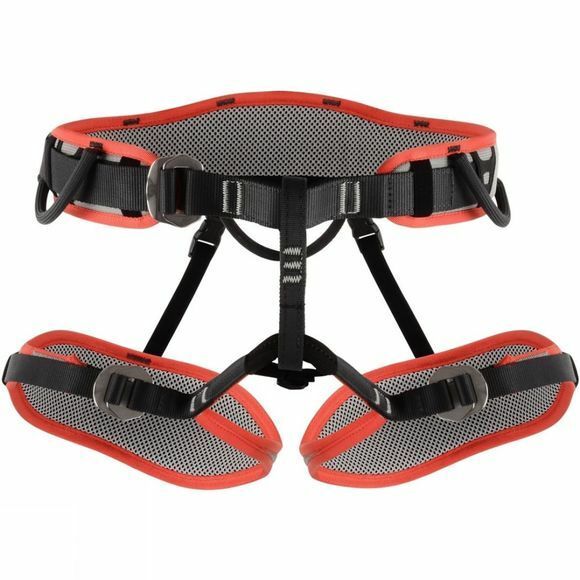 DMM's flagship go-anywhere, climb-anything harness has been updated: a few minor tweaks have been made, but the bits that made it so popular have been left alone, resulting in the Rengade 2.0. There's no way DMM would have got rid of the floating waist design: all seven gear loops stay centrally positioned regardless of how many layers you're wearing, without the need for two buckles. The racking has been improved, and extra hypalon patches have been added for additional ice-pro racking systems to be fitted. To round off, the Renegade 2.0 Harness is fitted with light-yet-tough rear elastics and belay loop, as well as safe, simple to use Slide Lock buckles all round. Everything great about the Renegade, with even more refinement. Brilliant.